Michael Nus is a bearded blogger with a big heart. Known as the gentleman blogger, his informative posts are chock full of philosophical meaning, commentary about staying classy, and SEO and Social Media advice. More than anyone else, Michael includes his friends and colleagues in his posts. He references the work of his contemporaries when recounting a previous night’s event or writing about the digital space. Familiarly referred to as “Nus” he blogs his crew’s collective memories of happenings in Toronto while always preserving a Holy Trinity of Happiness in his own life. MICHAEL NUS, Holy Trinity of Happiness is all about keeping life in balance between three fundamentally different but important components – Love, Sustenance, and Expression/Creativity. (Please click the diagram below, it expands.) Social media marketers, PR professionals, and web marketing consultants that live by their wits, and work all hours of the day, could benefit from this handy life balance reference guide. Make no mistake Michael’s blog is about friends, marketing and tech events and group moments, but occasionally, now and then he’ll discuss how to enjoy life, and reference the Trinity chart below. 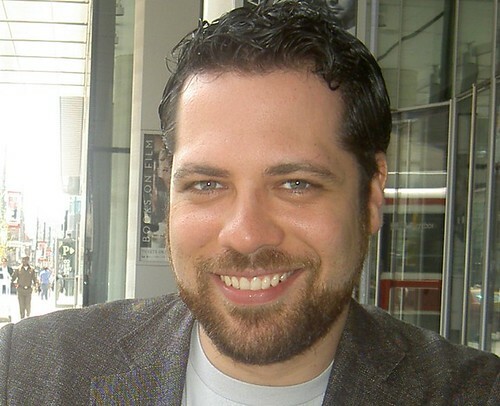 A digital strategist, PR innovator, and experienced SEO/Web marketer, Michael Nus has been involved in social media since it was called “web 2.0.” Alumnus of the Columbia University Institute for Tele-Information, Michael co-edited a book about digital and physical distribution at the enterprise level by one of the world’s top experts on the subject. He has taken his journalism and tech background into the blogging world and the social web. Michael has always been involved in social media marketing, but in his own words he says, “…it wasn’t until I met Mark Evans and Casie Stewart that I considered making personal blogging a habit to sharpen my skills in social media, marketing, SEO, PR, and coding even further. The notion was that anything I made that was my own I would naturally treat with care, so why not make my own blog?” Before that, here in Canada, he also worked for the BC Ministry of Education doing policy and data analysis and working on making information available to stakeholders across the province on the government’s digital entities. Projects like these furthered his nuanced education in marketing and strategy and he learned to be a proficient communicator in this space. Michael finally pulled the trigger on starting his own blog after a cancer scare. He was online a lot back then, writing blogs for clients, and he decided that he wanted to share his own experiences with people. His approach is not to just report to his readers, but to bring them along with him through his realizations on his journey. Also, Michael doesn’t patronize people in his writing. He wants people to feel welcome to share his experiences. He expects folks to read his blog then interact with him on Facebook, Twitter, Tumblr and converse through comments. Not surprisingly, the film Almost Famous is his favourite movie. He used to interview major musicians and he loved to create a friendly bond with them as the Music Editor for the Young People’s Press and various other music and entertainment publications. The plot of Almost Famous rang true to his own experiences in that part of his life. His favourite journalists are Lester Bangs, and Alan Cross. Remember Michael used to interview musicians, which is probably why he relates to both of these writers. His favourite book is ‘Still Life with Woodpecker’ by Tom Robbins. His favourite author is Hunter S Thompson. Today he lives his life right out in the open for everyone to see and comment on. He’s definitely worth following as @MichaelNus on Twitter. People are going to be writing about him a lot more this summer due to a bold mobile web innovation that he’s debuting with his partner Chris Booker in June at Microsoft’s “Code your Art Out” competition as his first major entrepreneurial venture. An active practitioner of strategic thought and what it means to the digital space, Michael optimizes value for the client. Michael is organized and methodical, patient in sharing learnings in mentorship relationships teaching others to see what he sees. Extremely engaged in the digital community, he is currently establishing a panel of experts to create a universal definition of what a digital strategist does, how they do it and what their accountabilities are. Michael’s dedication to the digital community continually grows high-level strategic thinking at both the micro and macro level by developing and executing programming. He’s also a capable speaker and has presented at Make Web Not War, Schulich School of Business, USguys, Social Media Week and many more. 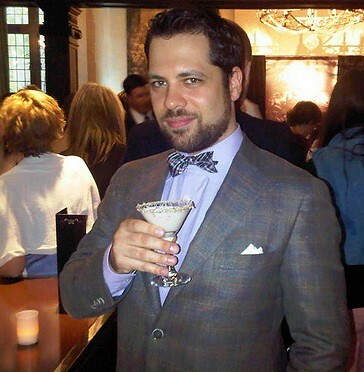 Michael is considered one of Toronto’s top 150 Twitter influencers, was the official blogger for Stella Artois during the TIFF, and has been featured in Rannie Turingan’s (@Photojunkie) 140characters.ca collection. Michael Nus’s own mixed blood comes from a rather exotic cultural background. His mom was born to Italian parents and taught him the value of independence. His father was a humble Hungarian and he inspired Michael to be an entrepreneur and do great things with his life before passing away in 2005. He feels like he’s on the path to greatness now, and that journey started with his father. 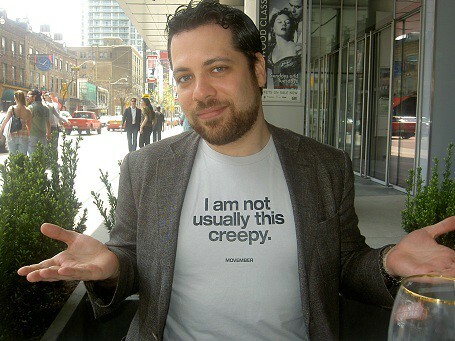 Michael majored in political science with a minor in criminology at the University of Victoria, and was creating web content as early as 2000 when he worked as Online News Editor for Metroland News Group during his studies at Seneca College in their Computer Technology program. Back then it wasn’t called blogging, rather journalists would submit their pieces and their content was subject to the pen of editors like Michael before being published online and in print. While at Metroland, Michael encouraged writers to alternate between hard news style reporting and first person “Gonzo” journalism with a healthy dose of feedback from readers. This was something of a foreshadow before blogging appeared on the scene to usher in a new age of journalism where readers are just as involved in the news as the writer. 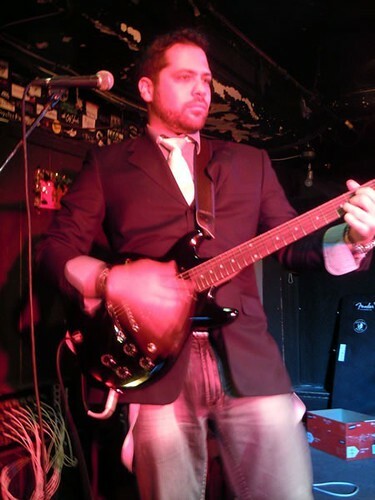 When he’s not blogging or helping clients and friends with their SEO or digital strategy, Michael likes to relive his days as a rock singer in a touring band by putting paper to pen. He’s a lyricist/songwriter, karaoke junkie and a closet chef. 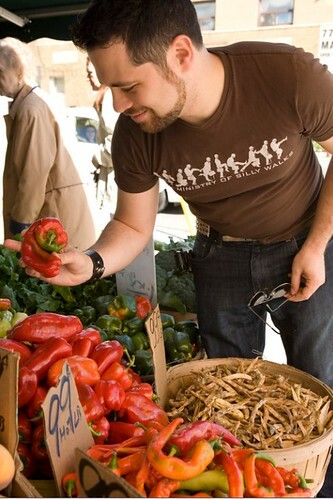 You can search his blog for his foody forays into the culinary arts for bachelors in his NusGourmet section. 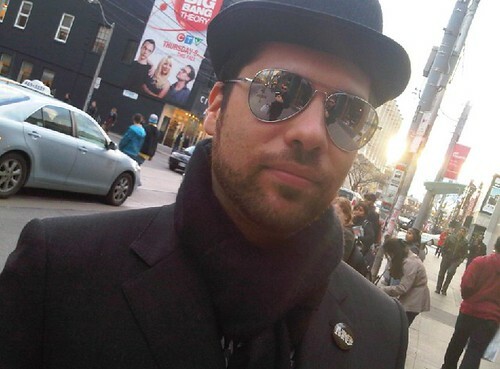 Torontoites will sometimes catch glimpses of Michael around town whether it be appearing on stage (Joey DeVilla’s blog) playing the electric guitar alongside Raymi the Minx on drums and Sean Ward on keyboards and vocals or co-organizing events like Tweetgasm, Star Wars Day or Movember fundraisers. Last fall he worked with Sean Moffitt on successfully executing Movember’s Toronto’s digital fundraising campaign in which played a part in helping Prostate Cancer Canada raise $20M for their cause! He plans to do it again this year and looks forward to the fun. “Michael writes that the best thing about his blog is that it gives him a reason to be somewhere, to be expressive and make great memories at special events or even when casually lounging with friends. The greatest reward, above all else, according to him, is when a reader tells him how much a post inspired them to do something positive. It’s for that reason that he strives to write quality content for his readers without exception. 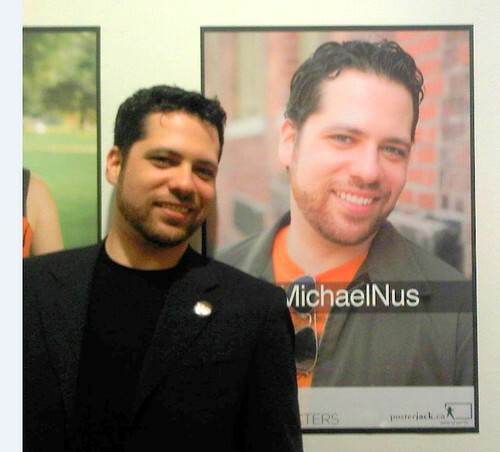 Stay tuned for a relaunch of MichaelNus.com and for the unveiling of his startup in June! I don’t agree. But I will of course publish your comment. All comments are ALWAYS published here on Canada Blog Friends because we respect your right to be heard, even if we don’t agree. And I don’t agree.